One major fault that I’ve noticed between versions of Windows is how differently file type associations are handled. In some of the more recent versions, removing a file association is extremely hard to do. There is a lot of software out there that act like huge association hogs and they can really clash with one another. Good examples are VLC and Winamp. You could argue that VLC is best for videos alone, and Winamp is solid for music. Both want to fight for that file type real estate, and they tend to want to hoard associations on both sides of the fence. Having unused file types associated with software that you don’t use isn’t a big deal, but some of us are a little OCD with our Windows. That’s fine, and we should have that control. Now, let me share with you two of my favorite pieces of software when it comes to switching up file types in Windows. Types is actually one of my favorite tools overall. Not only will Types allow you to change or remove file type associations, but you can also change context menus, icons, and other elements of a file type. Using Types is simple. Highlight the file association that you want to manipulate, as I’ve done in the above screenshot. From there, you can completely delete all associate settings by clicking the icon of the red “X” or you can click into the settings (the icon of the gear). Under the Class tab, you’re able to change the name of the file type. I wouldn’t recommend changing the class if you’re a novice user, but that option is available as well. The next tab, Actions, allows you to add or remove from the context menu when you right-click this file type. This is incredibly useful and one of my favorite features of the program. When adding a new context menu option, you only need to specify what DOS command to run. The next tab is Icon, where you can add a custom icon to this file type association or remove an existing one. The Other tab will allow you to change a small number of miscellaneous options. Most notable here is that you’re able to force Windows to always hide or show the extension for this specific file type. Types works under any version of Windows and even has a 64-bit version. It also has the ability to show within the Windows Control Panel. On the website, you’ll find localization files for every major language you can think of, so the author of Types has really gone as far as possible to make this a quality download for everyone. Unassoc is a little more simple; no glitz and glam here. 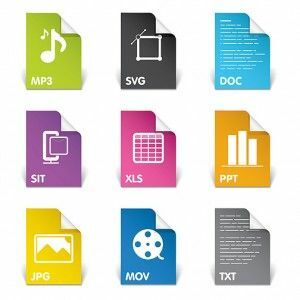 The single function of this portable application is to remove file type associations for the active Windows user. The option to remove an association will be dimmed until you select a file type with an existing association. You’re also able to completely delete a file type assocation. The application is very effective and easy. There’s not much more to say about Unassoc! Let me know of your experiences with these two applications in the comments. Types is really an application that every Windows enthusiast should have installed, and Unassoc is one of the smallest and simplest portable applications that you could ever put on a thumb drive. Both are great to use. Link for types is working no more. Please fix this. Just FYI, the "Unassoc" utility is ONLY for Windows Vista and 7. It is a GUI for these newer versions of Windows. It will not run on Windows XP or earlier. The download link for Types appears to be broken or abandoned. searching for "Types" in google is a waste of time. Link please! Finally I can sort out which media player opens my mp4 files once and for all. This article really helped me! Not that long ago I installed an .ISO mounter and then couldn't figure out how to revert it to Windows' default action (to burn the image to a disc). Thanks for this post! Thanks, this might be just what I need. Both the apps seems like brick to me, isn't there any intelligent app which will recognize file extension either automatic or semi-automatic. Not 100% sure what you mean by that comment, but if you can clarify I can try to see what I can do. In both the apps, one has to manually set, that is say for avi file play with VLC player it needs to be set for all the extensions. Can we have app which will intelligently find out if it is any kind of media file set it to play with VLC player. If there is any kind of text doc open with MS word document. Or At least app should give recommendation say if the file is *.psd play it or install Acrobat photoshop. I use Unassoc. Like you said, nice and simple to use. No fancy interface just an application that does its job and does the job well.